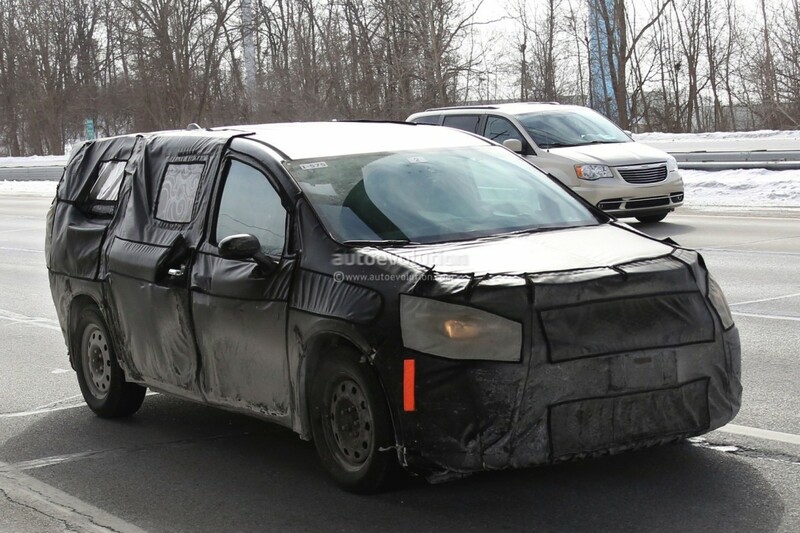 Spy photos of the new 2017 Chrysler Town & Country have been leaked by various auto blogs. The photos show the new Town & Country hidden behind an all-black garb. While the details of the look and exterior changes is hard to make out due to the camouflage, one thing that Chrysler couldn’t hide was the overall look. It seems to have done away with the boxy look associated with minivans and is looking more and more like what many of the new Chrysler vehicles look like under Fiat’s rule. It looks like a lot of the smooth and curvy lines similar to those in the new 2015 Chrysler 200. Auto Evolution has more photos than just the outside. They managed to get a peek inside the windows to survey the interior design. What is there isn’t surprising. The new Town & Country will be taking much of what works from the rest of the Chrysler family. This includes a digital instrument panel. As Auto Evolution notes, however, this may just be a prototype and is most likely going to change before the 2017 model hits showfloors. Not much else is known about what Chrysler has in store for its new minivan. It will represent a new era of the company as it seeks to do away with vehicles that overlap one another. For that reason, many of the minivan-esque models that are in the whole of the Chrysler umbrella will be phased out and the Town & Country will be the remaining minivan in the whole of the line-up. It only stands to reason that all of the best ideas will be put to use somewhere and somehow in the 2017 Town & Country. For more information on the Chrysler Town and Country and Chrysler family vehicles, visit Bayside Chrysler Jeep Dodge. On the website, you can get pre-approved, check out the monthly specials, and shop the online inventory by make, model, and year. You can also get the latest news and deals from Bayside Chrysler Jeep Dodge by liking Bayside on Facebook, following on Twitter, or subscribing on YouTube. Despite the freezing cold and late snow, Chrysler Group had its best February in 7 years. 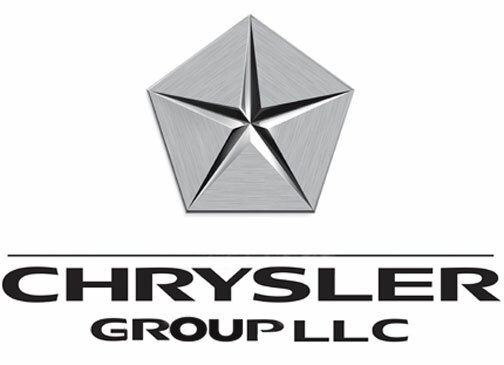 According to Automotive News, Chrysler Group sold 154,866 units in February, an 11 percent sales boost for the company. The Jeep and Ram brands are being credited for the best February sales since 2007, and looking at the numbers, it is hard to argue with that assessment. Jeep sales were up 47 percent and Ram sales were up 26 percent from February 2013, and sales on the Ram 1500 alone were up 30 percent. Why have the Jeep and Ram brands been so popular? There has been severe winter weather all across the country, especially in regions that never had to worry about this kind of weather before. Drivers need to have cars that can handle snow, ice, and whatever else is thrown at them, and they want to rely on a trusted brand like Jeep or Ram. The success of the Ram 1500 can also be attributed to the recent awards including Motor Trend’s Truck of the Year. If you’re looking for a new or used Chrysler model to get you through whatever 2014 will bring, contact us at Bayside Chrysler Jeep Dodge. It doesn’t matter if you have bad credit, we’ll work with you to find the right vehicle for your lifestyle. Like us on Facebook and follow us on Twitter for more news and monthly specials. Change is in the air for Chrysler. Executives with the company confirmed the auto maker is adding a mysterious new midsize car to their line-up before the first quarter of the upcoming year. This all came to light while executives were showing off the factory at Sterling Heights, Michigan. Currently, the 200 and Avenger are built in the plant. The remark came while reporters were on a tour of the new paint shop. The two vehicles on the chop block that Chrysler is looking to replace are its own 200 and the Dodge Avenger. Both vehicles are having a tough time against the competition, in particular the Toyota Camry and the Honda Accord. The details as to what to expect on the new car are minimal. It’s assumed at this point that Fiat will be an influence seeing as how the Italian automaker has already made an impact on the majority of new vehicles coming from Chrysler. The last update on the current midsize cars were three years ago. In fact, the design is the oldest in the midsize category. The plant itself that this will all occur at has something of a miracle history. It’s been slated to close multiple times, but somehow always manages to keep its head above water. Now, Chrysler has invested a large sum of money to expand on the paint shop that will allow it to paint any Chrysler or Fiat vehicle, the large trucks and commercial vans included. On top of that, another $165 million will be invested into a new body shop. For more information on the Chrysler 200 and other Chrysler vehicles, contact us at Bayside Chrysler Jeep Dodge. 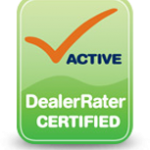 We operate in the Bayside Queens area and are the go-to place for high quality service for new, pre-owned, or vehicle maintenance through our service department. Be sure to like us on Facebook and to follow us on Twitter for to see our monthly parts and service specials.